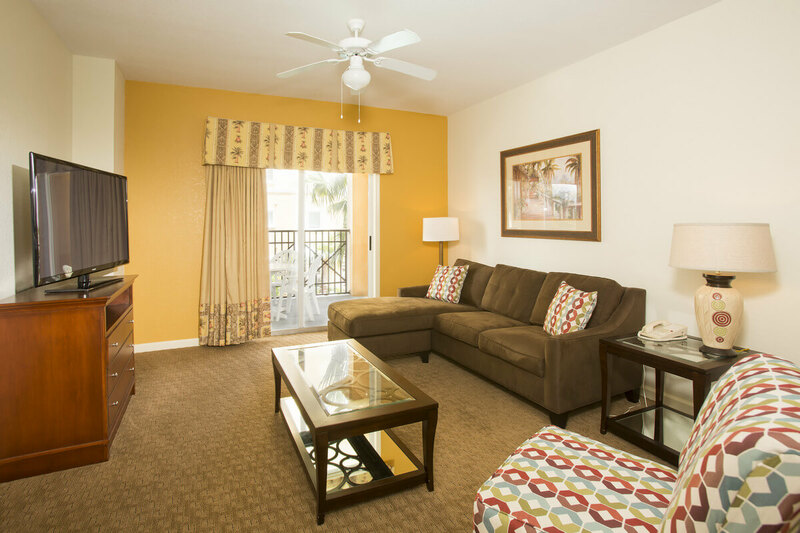 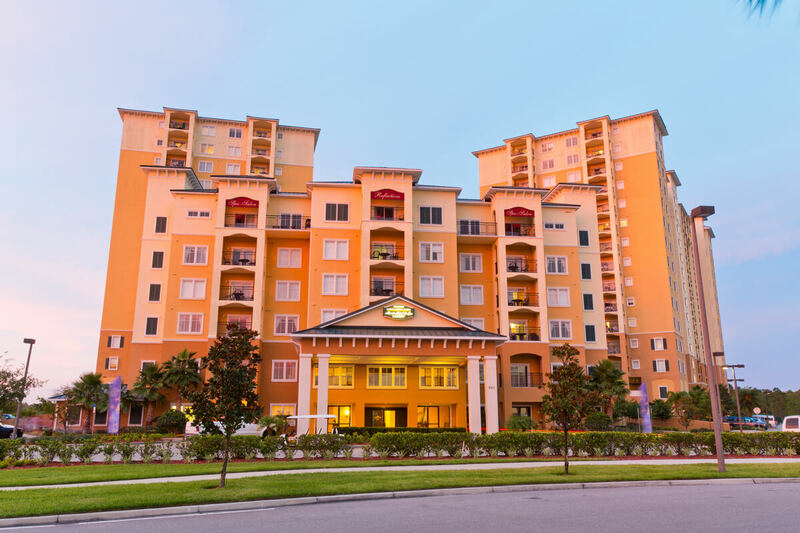 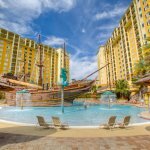 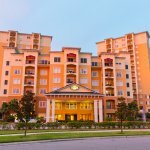 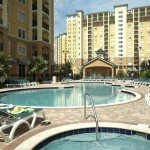 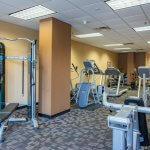 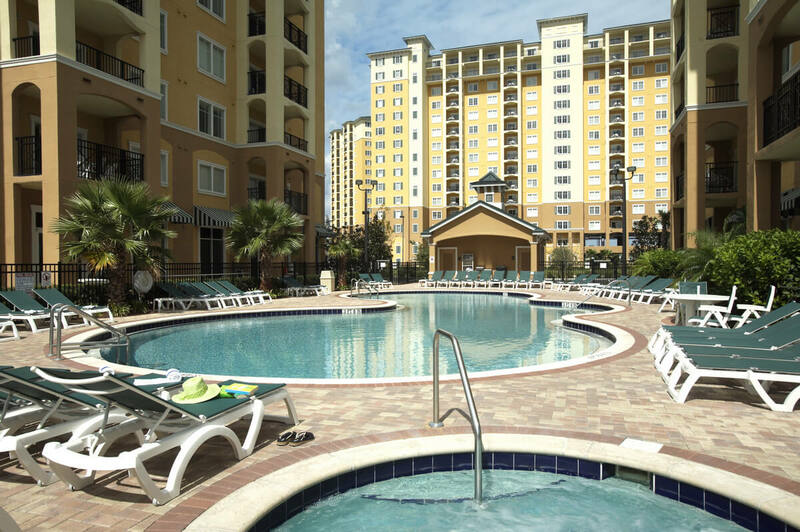 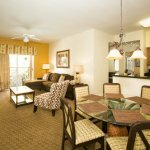 A stay with Lake Buena Vista Resort Village & Spa is a vacation in itself. 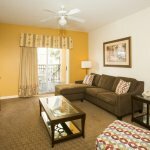 This condominium style hotel suites are noticeably more spacious than average, giving your family room to spread out and relax. 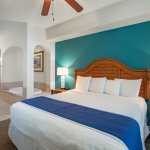 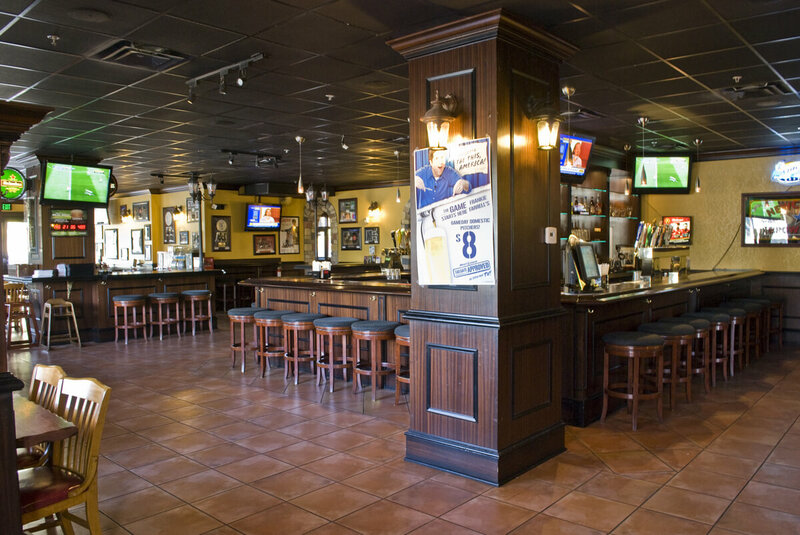 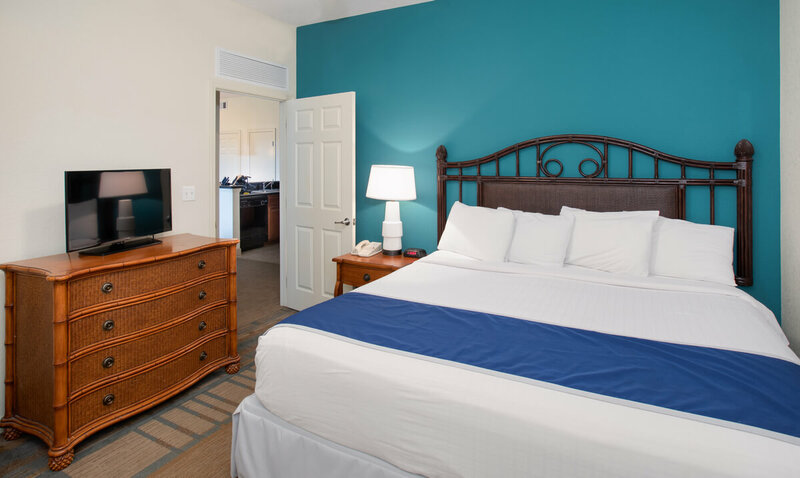 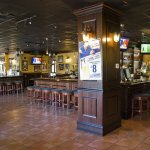 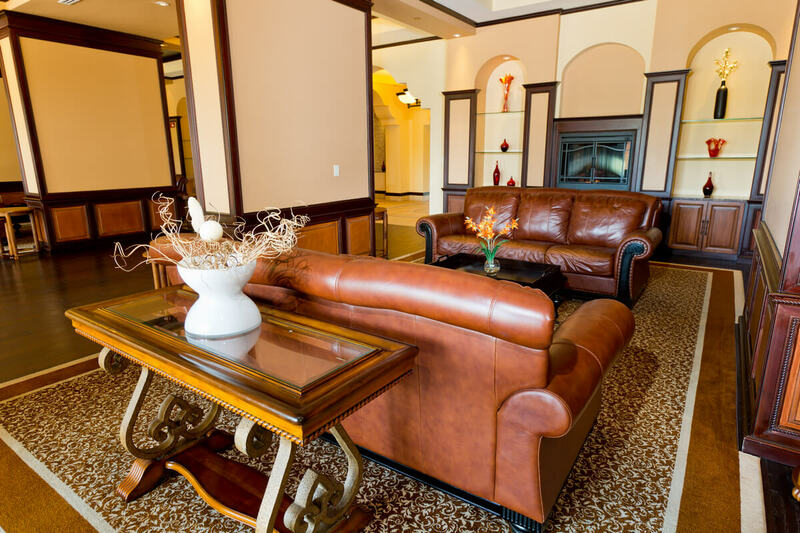 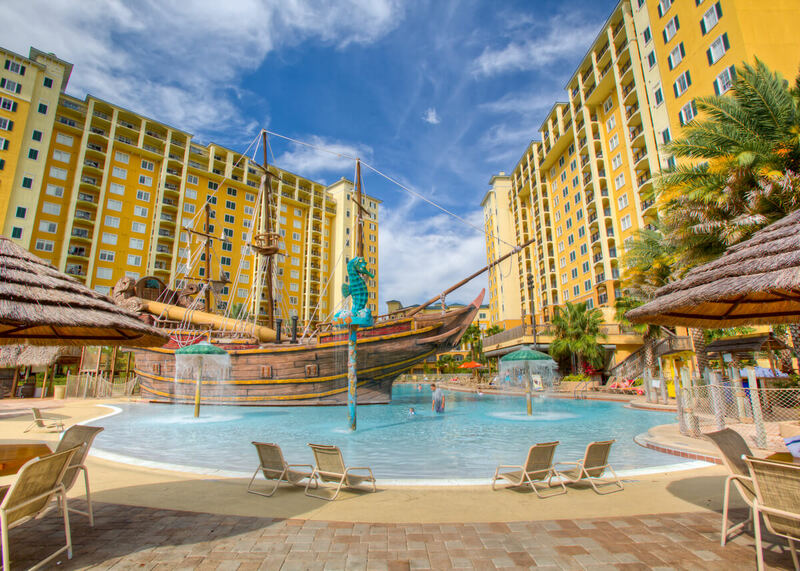 Also appreciated after a long day of traveling or standing in theme parks, are the comfortable, yet upscale Florida resort style furnishings and decor. 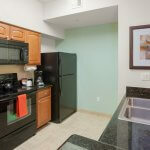 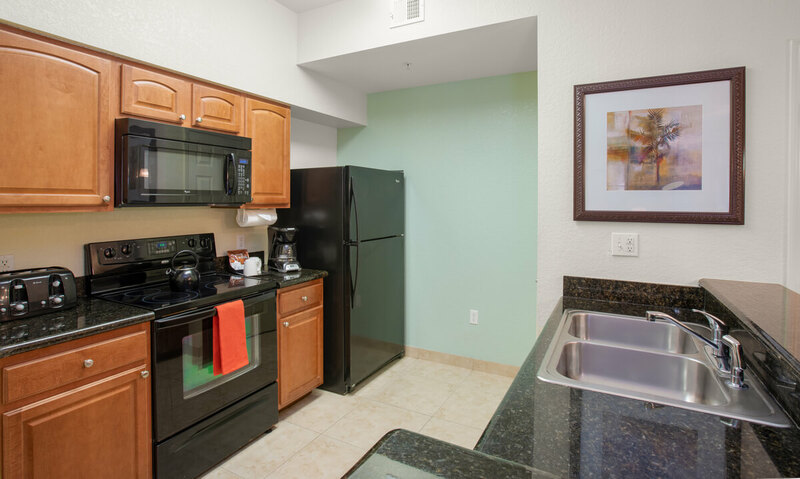 All of the one-, two-, three– and four–bedroom suites have the extra touches of granite counter tops in the kitchen that is fully equipped with a dishwasher, dishes, silverware and all basic necessities for preparing delicious meals. 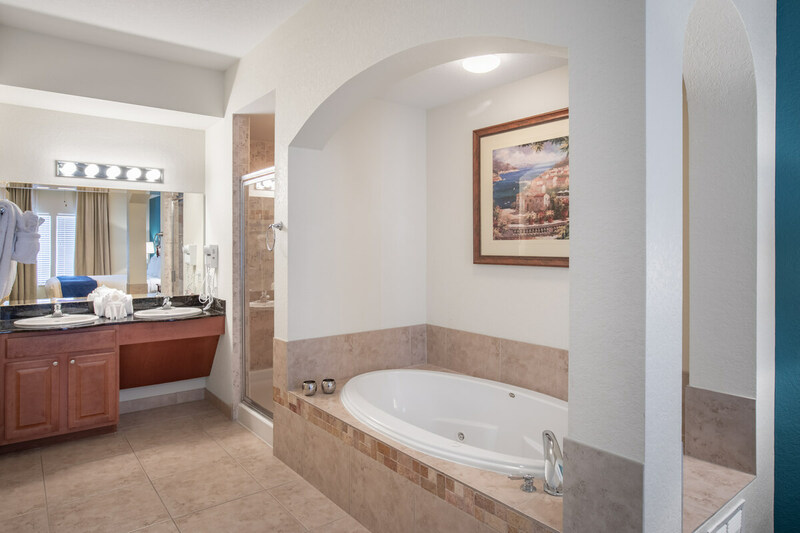 The suites also include a glass-topped dining table in the dining room, a relaxing Jacuzzi tub in the master bedroom and a convenient washer and dryer to take care of any laundry necessities you may have. 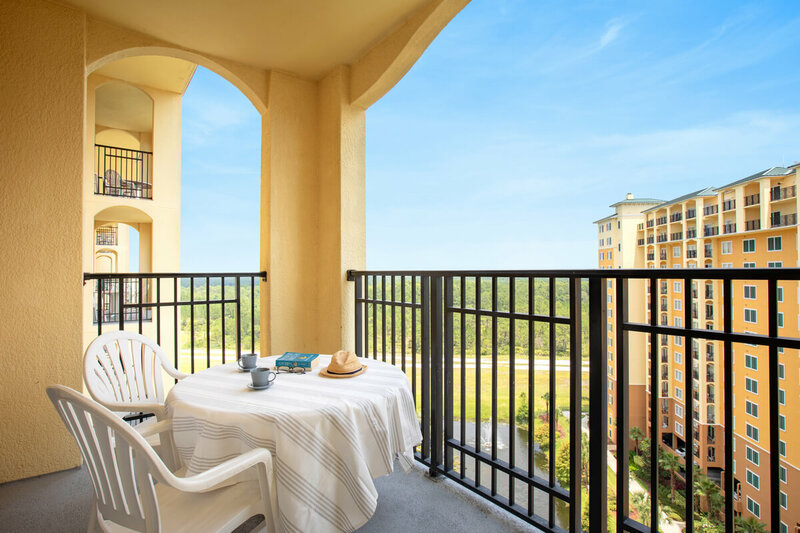 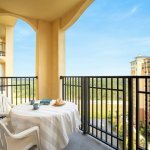 To top it all off, a nice private balcony will allow you to take in the Florida sunshine while enjoying a beautiful view of our Pirate’s Plunge Pool, Disney’s Firework or City View. 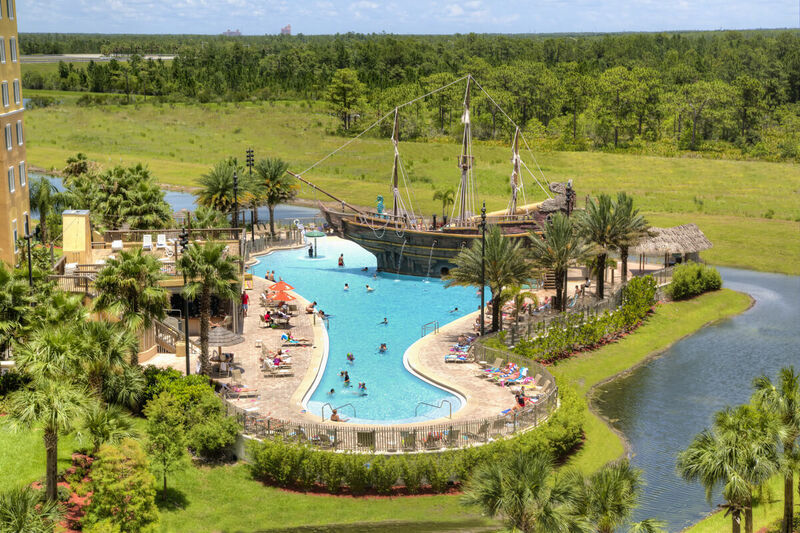 • Walt Disney World • Lake Buena Vista Factory Stores – Adjacent • Premium Outlets – 3 miles • Disney Springs – 4 miles • Florida Mall – 12 miles • Mall at Millenia – 12 miles • Disney Theme Parks – 3 miles • SeaWorld & Aquatica – 6 miles • Universal Studios Orlando – 10 miles • Hawk’s Landing Golf Club – 2 miles • Falcon’s Fire Golf Course – 3 miles • Celebration Golf Club – 5 miles • Disney’s Lake Buena Vista Golf Course – 4 miles away. 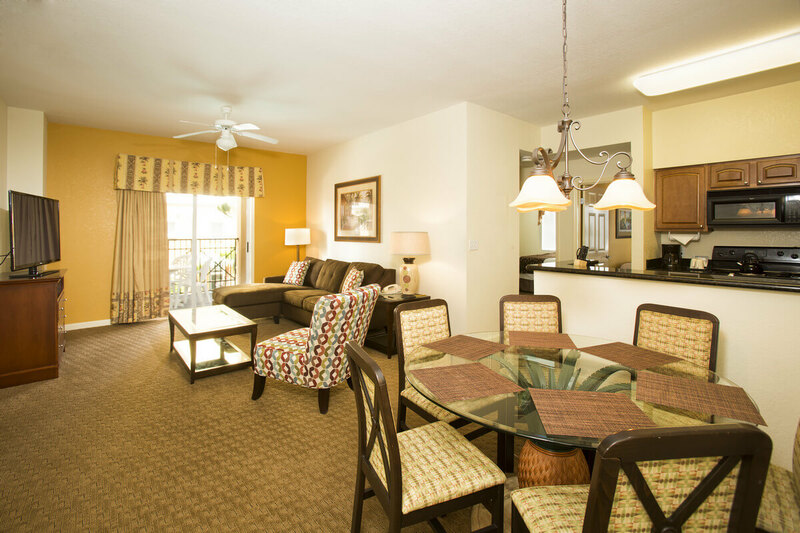 Buena Vista Resort Village & Spa is a self-catering resort, which means daily housekeeping services are not included. 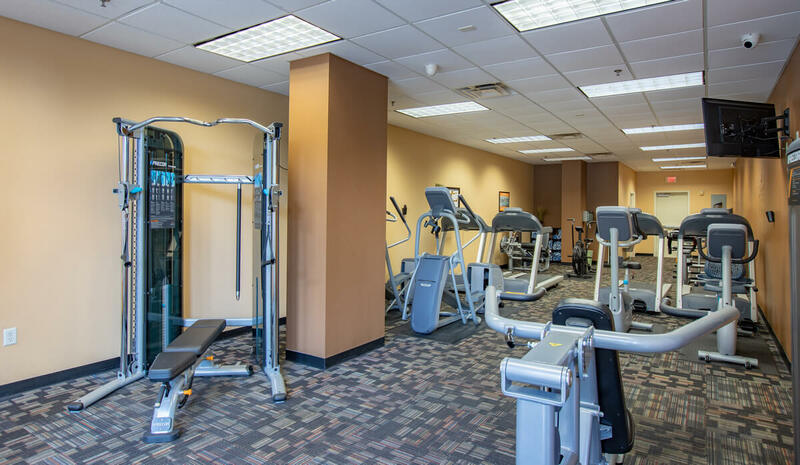 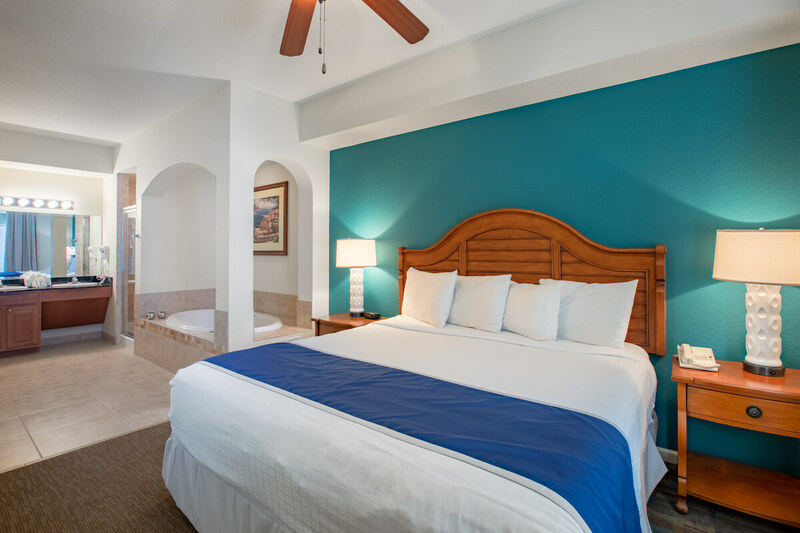 If you would prefer to have your room cleaned, there is an array of optional housekeeping services that can be scheduled at the resort as desired for a nominal fee.